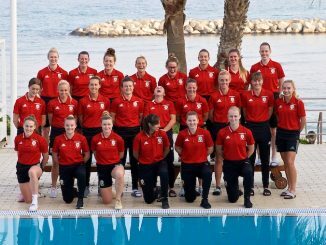 Wales finished third in their Cyprus Cup group after holding Switzerland to a goalless draw and will now play Austria for seventh place on Wednesday morning. 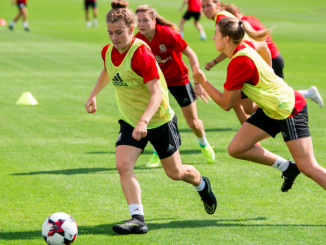 Faw.cymru reports that: Jayne Ludlow made two changes to the team that lost 3-0 to Italy, opting for youth in the back line in the form of Alice Griffiths and a first cap for Elise Hughes. Both players looked comfortable playing alongside the experienced Loren Dykes and Sophie Ingle, with Switzerland offering very little attacking threat in the opening twenty minutes. The chance of the first half came for striker Kayleigh Green, running on to a through ball and rounding Swiss keeper Nicole Studer, who recovered quickly and stopped Green from rolling the ball into an open net. Both teams created more chances in the second half and Laura O’Sullivan was kept busy in her goal, getting her finger tips to a long-range Swiss shot on the fifty-minute mark. Minutes later she was in action again with an impressive double save, before Ingle cleared the ball off the line. Wales main attacking threat came from substitutions Melissa Fletcher and Helen Ward. Fletcher drove play forward before playing the ball on to Natasha Harding who dribbled past two players and saw her shot sail past the keeper and hitting the woodwork. Wales could have scored minutes before the final whistle as Ward ran through the defence but her one on one opportunity which was stopped by Studer. The draw means Wales finish Group A in third place due to Switzerland’s better goal difference. With the Swiss ranked joint 17 in the world and Wales ranked 35, Jayne Ludlow says she’s pleased her side matched Switzerland. Italy topped the group after drawing 2-2 with a late leveller against Finland and now play in Wednesday’s final. Emmi Alanen twice put the Finns in front but Valentina Giacenti quickly cancelled out her first effort and then Manuela Giugliano made it 2-2 with just 4 minutes remaining. Spain also made the final with a 2-0 victory over Czech Republic, with goals in the last 20 minutes from Irene Paredes and Alexia Putellas. The other Group B game ended 2-0 as well, Belgium beating Austria with goals from Jana Coryn and Heleen Jaques. North Korea won Group C after playing out a 0-0 draw with South Africa, who took second spot. 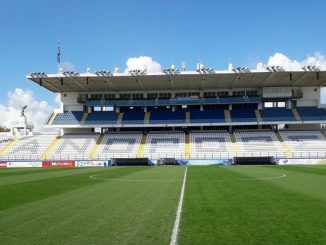 The result meant both sides completed their group games without one conceding a goal. Hungary’s Zsanett Jakabfi but them in front against Slovakia but Patricia Fischerová earned a draw with an equaliser after the hour mark.